Since January 2013, we changed the procedure by which multifamily buildings are awarded payments for electricity. For many consumers unpleasant surprise became account who has to pay for. In General, the amount of charges now include ONE – obschedomovyh needs. It sometimes exceeds the actual consumption, which is recorded by the meter installed in the apartment. Billing of electricity in 2013 produced by the new "Rules of granting of utilities to owners and users of premises in apartment houses". This normative document was approved by Russian Federation government Resolution № 354 of may 6, 2011. A significant change was the inclusion of payment for ONE payment obschedomovyh needs. Earlier ONE mentioned in the receipts of the line "power Supply, lighting of common areas". However, now this amount has grown substantially. Because of November 2012 receipts were taken into account only the lighting of staircases, but in accordance with the new rules the calculation takes into account all receivers of electric energy installed in the common areas. These include elevators, entrances, technical floor, intercom, pripojenie street lamps, optional equipment, providing convenience of living. That is, in the case where tenants have installed obschedomovoe antenna with amplifier or pumps that pump up the water to the upper floors, electricity consumed will be counted and included in the payment. The payment procedure is ONE has also been modified. Previously, the total amount was divided by all the tenants in proportion to the amount that they pay for electricity by the meter installed in the apartment. According to the new procedure, now the total amount ONE is divided in proportion to the area of the apartment. This is done on the assumption that the share of obschedomovyh property and territory are set in proportion to the size of the apartment, it is logical that the content of communal property should be distributed according to the same principle. In some regions local authorities have established regulations that limit the charge for ONE. If the house has a separate count for the energy cost of ONE payment on it, but only if the readings do not exceed the standard. 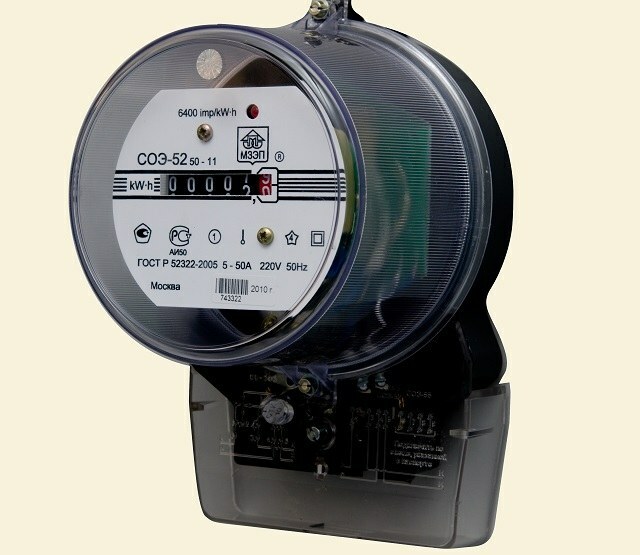 If the actual consumption is more, the calculation is made according to the standards, as in the case of the lack of General house metering device. No change in the order of payment of door-to-door energy consumption has not occurred. The tenants pay as much kilowatt, how much consumed during the month. The only advantage there is for those tenants whose homes are established two-tariff counters, allowing the use of lower tariffs for the electricity that is consumed from 21:00 to 7:00. The savings in this case is quite significant, because, as a rule, the "night" rate is almost half less than that acts in the daytime.